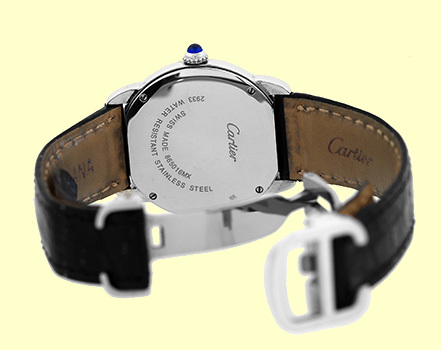 Lady's Stainless Steel Cartier "Ronde Tank Solo" Strapwatch. 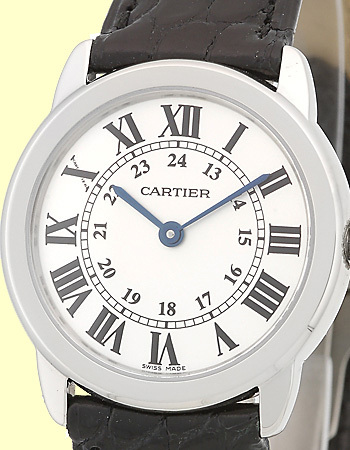 Silver Dial with Black Roman & Arabic Numerals, Blued Hands, Sapphire Cabochon on Setting Crown, and Sapphire Crystal. 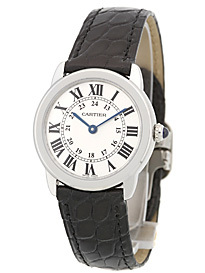 Highest Quality Black Cartier Crocodile Strap with Stainless Steel Cartier Deployant Clasp. 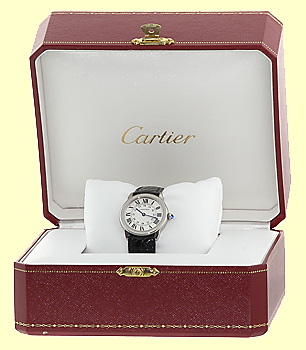 Like New Perfect Condition with Red Cartier Box, and complete with Capetown's Lifetime Warranty! !